The office is a general litigation firm, with an emphasis on personal injury cases. Attorney Moynihan has tried numerous injury cases to successful verdicts and has negotiated settlements on wrongful death cases in excess of one million dollars in value. The office also emphasizes criminal defense, including misdemeanors, felonies and juvenile delinquency offenses. Cases include OUI offenses, assault and battery offenses, domestic violence, criminal motor vehicle offenses, drug charges, license loss cases and other misdemeanor and felony cases. Please call to inquire about other areas of practice! 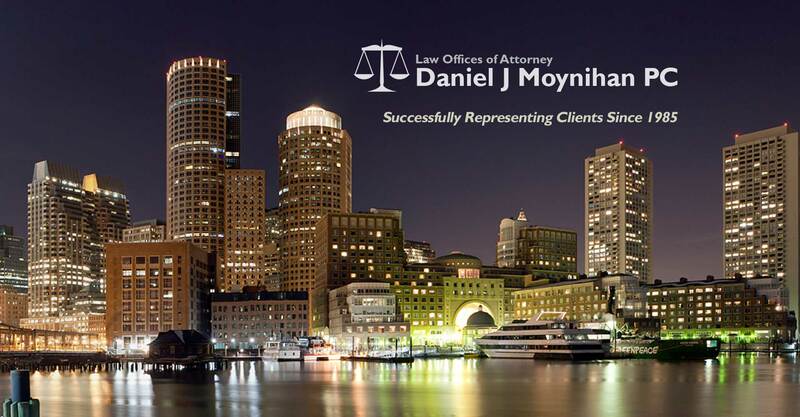 Attorney Moynihan was born and raised in Lowell MA. He graduated from the University of Lowell in 1982 and from the Suffolk University Law School in 1985. Throughout Attorney Moynihan’s legal career, he has gained vast trial experience in both civil and criminal cases. 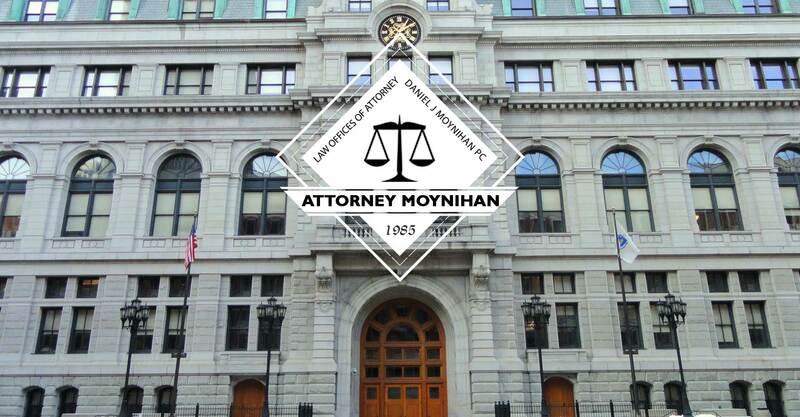 Attorney Moynihan is a former prosecutor for Middlesex County. As a Prosecutor, he tried hundreds of misdemeanors and felonies in District Courts and Superior Courts in Middlesex County. 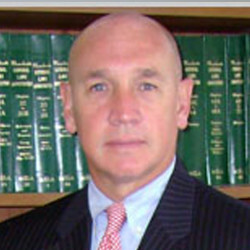 Attorney Moynihan was a Senior Trial Lawyer for an International Insurance Company in Boston, MA for more than 12 years, where he tried hundreds of personal injury cases in District Courts and Superior Courts and before Arbitration boards and panels throughout the commonwealth of Massachusetts and in United States Federal Courts. Attorney Moynihan has lectured in Criminal Law, civil litigation, and other topics of low as an adjunct faculty member at numerous colleges. 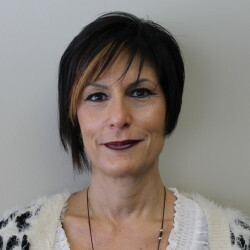 Michelle joined the firm in 2007. She works primarily as the office manager and assists both attorneys within the practice. Michelle was raised and presently resides in Stoneham. She is a graduate of Endicott College, Beverly, Massachusetts and attended Salem State University, Salem. Massachusetts. Michelle possesses a degree in Business Administration. Prior to joining the firm, Michelle worked as a paralegal specializing in civil litigation and family law. Michelle offers over 25 years of broad range experience in multi-party tort litigation, complex bodily injury claims, divorce, estate and landlord/tenant matters. Attorney Bush focuses on all matters of general litigation at the firm. She also assists is representing the Massachusetts State Police Troopers before state and federal courts, disciplinary investigation, and internal grievance hearings as part of the firm’s relationship with the State Police Association of Massachusetts. Before joining the Law Office on Daniel J. Moynihan, PC in 2015, Attorney Bush served as a legal associate at Citizens Disability, LLC, handling social security disability cases. While in law school, Ms. Bush held various internships, including positions at Worchester County’s District Attorney’s Office, Middlesex County’s District Attorney’s Office and Norfolk County’s District Attorney’s Office. 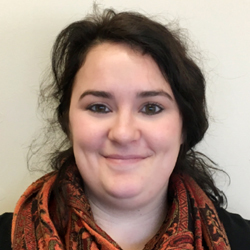 During her third year, Emily participated in the battered Women’s Advocacy Program, one of the oldest domestic violence law school clinical programs in the country. She was also heavily involved in her school’s Child and Family Law Student Association and served as the association’s President during her second year. Attorney Bush is a native of Youngstown, Ohio. She received her Bachelor’s Degree in Communications from Pennsylvania State University in 2010 before relocating to Boston where she earned her Juris Doctorate from Suffolk University Law School in 2014. U.S. District Court, District of Massachusetts, 2015. Our office represents individuals and their families who have been wrongfully or accidentally injured or killed as a result of another’s actions. We specialize in helping our injured clients through such difficult and emotionally exhausting times, allowing them to focus on recovery from their loss or injuries, while pursuing their claims to a successful result. When an injured person retains our office, we communicate with insurance companies on their behalf, coordinate health benefits, coordinate medical billing related to the injury with their insurer, and even obtain lost wages from their insurer, when possible. We then investigate and analyze the claim, negotiate a favorable settlement with insurance companies, and, whenever necessary, advocate for our clients in Court, through litigation and trial. Injury cases are always emotional. No one should rush to make any decisions, accept any money, or sign any release without first consulting an attorney. Our office has handled thousands of personal injury cases, trying cases to successful verdicts and negotiating settlements in excess of one million dollars. We will make sure you are fairly compensated for your injuries and are satisfied with the result. Our office represents individuals who have been charged with criminal offenses, including felonies, misdemeanors, and juvenile offenses. We will use our decades of criminal trial experience to ensure that you are treated fairly and obtain a just resolution of your case. Practicing Family Law in Massachusetts requires extensive knowledge of the law and an understanding of the difficulties confronting anyone going through a separation or divorce. Our office can help you through your divorce, child support issues, or restraining order issues, and advocate for you so as to achieve a fair and equitable solution to this extremely emotional process. Unfortunately, there are many occasions where disputes arise between family members about the interpretation of a loved one’s will or wishes, or the method of distribution of an estate. If a will has been challenged, if you wish to challenge a will, or if you need assistance in the administration of an estate, our office is experienced in litigating these disputes to a successful resolution. If your future has not been adequately protected and you find yourself in a dispute over a loved one’s will or estate, our office is experienced atthe critical details of Massachusetts Probate Law to protect your interests. Our Office serves as counsel for the State Police Association of Massachusetts, which constitutes the union for all Troopers and Sergeants employed by the Massachusetts State Police. As such, our office provides representation to all Troopers and Sergeants in connection with employment related issues, including Internal Affairs Investigations, interviews, Trial Boards, and the Civil Service Commission. Our office also provides representation to Troopers and Sergeants who are involved in emergency, rapid response activities, including shootings and homicides, in the line of duty. Also, our office provides defense to Troopers and Sergeants who are the subject of civil rights litigation in federal courts. Finally, our office also represents individual law enforcement officials in connection with labor and employment issues in various municipalities. In planning for your future, it is important to have an attorney who understands how to protect your family and your assets. The new Massachusetts Probate Code changes the way many wills are drafted and interpreted. The Law Office of Daniel Moynihan can draft a will, power of attorney, or health care proxy to protect your wishes and your assets. A guest in attendance at a backyard party sustained severe burns when an inebriated guest knocked a vat of hot frying-oil onto him. The client’s injuries caused him a permanent loss of function in his burned foot, substantial medical bills, and the loss of his income. The Law Office of Daniel J. Moynihan brought a claim against the party host’s homeowners insurance, obtaining a $135,000 settlement. A motorist sustained severe shoulder and neck injuries in a rear-end accident. The maximum available insurance, of $100,000, was obtained from the responsible party. The Law Office of Daniel J. Moynihan then filed a claim for UnderInsured Benefits with the motorist’s own insurance, obtaining an addition $125,000, for a combined settlement for the motorist of $225,000. The Plaintiff, a wife and mother of three children, was employed as a gas station clerk. As Plaintiff was checking the level of the station’s underground tanks, she was struck and killed by a truck, driving through the station at an accelerated rate of speed. The Law Office of Daniel J. Moynihan filed suit against the truck’s owner, and after discovery, obtained a settlement for the Plaintiff’s family in the amount of $250,000. When a local Patriots fan was attacked and injured by rival fans while visiting that rival’s stadium, The Law Office of Daniel Moynihan pursued a claim against that rival team for negligently failing to provide adequate security in the lot outside its stadium, and obtained a settlement prior to trial in the Federal District Court. An 84 year old woman was under the care of a home health aide, who failed to follow the family’s instructions for the woman’s care and transport. As a result, the elderly woman was caused to fall from a wheelchair in her home, and sustain serious injuries, leading to her death. The Law Office of Daniel J. Moynihan brought suit on behalf of her surviving husband and children, and on the day of closing arguments during the trial, obtained a $180,000 settlement for her surviving heirs. When a client suffered injuries in an unsuccessful bladder surgery, The Law Office of Daniel J. Moynihan filed suit against the negligent surgeon. When the physician denied that he was negligent, Attorney Moynihan obtained another physician’s opinion who argued the surgeon was negligent. In addition, during discovery, Attorney Moynihan investigated the surgeon’s background, finding numerous incidents of unprofessional behavior. As a result of the potential admissibility of the surgeon’s history, the surgeon’s insurer sought to settle before the trial. A worker’s compensation insurer filed suit against a Lynnfield, Massachusetts business, defended by The Law Office of Daniel Moynihan, seeking insurance premiums. Our office filed a counterclaim alleging breach of contract and violations of the Massachusetts Consumer Protection statute, as the insurer had failed to properly handle claims or mitigate the damages and costs. After a two week jury trial in Newburyport Superior Court, the jury returned a verdict in our client’s favor and against the insurer, and the judge awarded $158,000 in statutory damages to our client, to be paid by the insurer who brought suit. When our client, a Stoneham, Massachusetts construction firm, was sued before the Massachusetts Commission Against Discrimination, The Law Office of Daniel J. Moynihan thoroughly investigated the allegations and obtained a dismissal of the allegations in only a matter of weeks. Our client, a Reading, Massachusetts landlord and small business owner, was sued by a former tenant for alleged violations related to her tenancy, seeking $75,000 in damages. Following a three day trial, the jury returned a verdict in favor of our client. The client, an 18 year old high school senior, was involved in a motor vehicle accident at a dangerous intersection in Dracut, Massachusetts. The other driver, who was operating a motorcycle, was killed in the collision and the client was charged with Motor Vehicle Homicide. 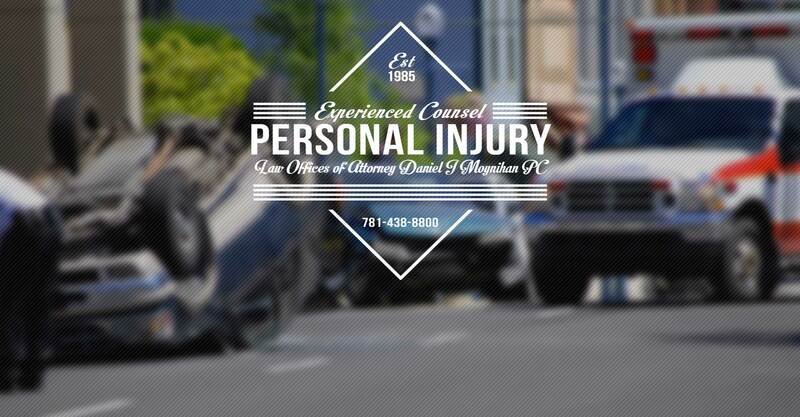 The Law Office of Daniel J. Moynihan thoroughly investigated the case and retained an accident reconstruction expert. After a four-day trial in the Lowell district court, the jury returned a verdict in favor of our client. Upon their separation, our Woburn, Massachusetts client’s immigrant husband sought for their marriage to be dissolved on the grounds of cruel and abusive treatment in an effort to assist his immigration status. The presiding judge rejected the frivolous allegations of abusive treatment, ruling in our client’s favor and awarding $5,000 in attorneys’ fees, pursuant to a post-judgment motion. When a Burlington, Massachusetts business owner was left property under a dear friend’s will, The Law Office of Daniel Moynihan defended her against the allegations of a jealous relative to ensure she received her fair share of the deceased’s Estate. After two years of litigation, the case was settled. An off-duty State Trooper intervened when his friends were attacked by a knife-wielding assailant, but became the subject of a criminal complaint as a result of the ensuing fracas. The Law Office of Daniel J. Moynihan defended the Trooper, advocating for the frivolous charges to be dropped, which allowed the Trooper to return to work. I wanted to thank you again for all of your help withy my case. I couldn’t have expected a better result. Thank you for your advice and your effort on my behalf”. Thank You ! Especially for Conor-many thanks for all of your hard work. Thanks again for helping me and George through this difficult situation. Signed, Priscilla, Ken and Kenny G.
Our son has just returned from a nice vacation, instead of attending a trial…and thanks to your fine work he’s got his life back without a conviction. It is very nice not to have worry about my son’s situation anymore. We have been most impressed by your legal acumen when handling his case and I’m so grateful he switched to you after experiencing the fatalistic, judgemental approach and attitude of his bail lawyer. My wife and I know that thanks to your congenial personality and reassuring words to our son he was able to handle the great stress of his situation. In addition you were always available to take a phone call or email from our son, or myself. Free Consultant on all personal injury cases.